ARIO began in 2013 under the brand of Ario Capital Group. Oleksii Voronko (Managing Partner), Julian Khorunzhyi (Senior Partner), Iryna Serbin (Partner) and Serhii Kyrychenko (Partner) were among the first founders. Bankruptcy and restructuring were the main areas of practice at that time. Rebranding took place in 2015, and in 2015-2016 the ARIO LAW FIRM team was strengthened by new partners (Dmytro Boyko, Yevhen Hrushovets), powerful counsels (Vladyslav Hryshchenko, Olha Reshetnyk, Andrii Fylyk, Oleksii Malovichko) and lawyers. We became known as Ario Law Firm. In 2017 Kyrylo Yukhno (L.L.M), who is a counsel, joined our team. Since 2016 ARIO LAW FIRM has been unique and effective in litigation, corporate, commercial, banking law, bankruptcy and restructuring, enforcement proceedings, criminal practice, government relations, business protection and tax and legal consulting services. The main drivers of the ARIO LAW FIRM used to be and still are litigation, criminal practice, bankruptcy and enforcement proceedings and corporate law. ARIO LAW FIRM is also well known for its outstanding success in complex cases in bankruptcy, litigation, dispute resolution, corporate and white-collar crime, which have received considerable resonance both in the legal market and beyond. ARIO LAW FIRM has a corporate and social responsibility. 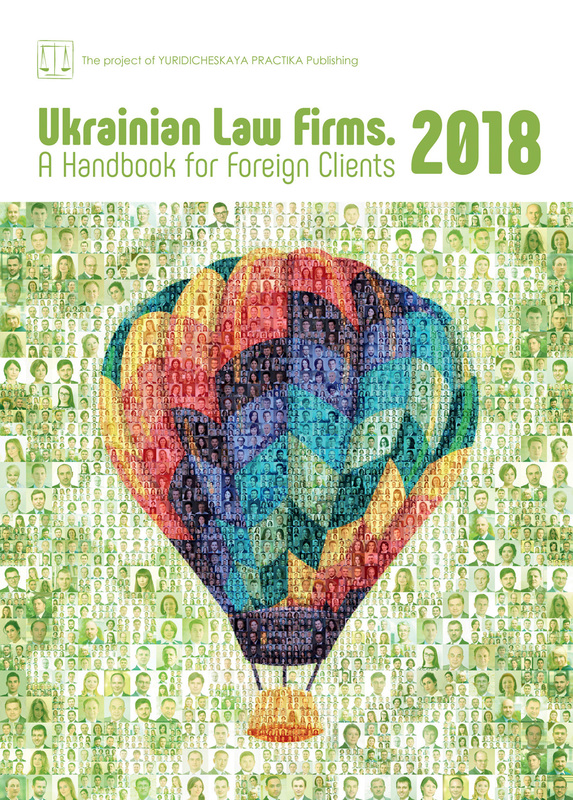 Since its existence, ARIO LAW FIRM has been a partner of the Ukrainian Bar Association — all-Ukrainian public organization, founded in 2002, to bring together lawyers for a strong and influential professional community. We also support the charity fund Promotion and Development, which is responsible for the development of children (in particular, internally displaced, but not limited to) in Ukraine, and is the general partner of the League of Students of the Ukrainian Bar Association. Fraud is one of the most common types of crimes in Ukraine, which occurs in all spheres of life: Internet fraud, bank fraud, insurance products, small and medium-sized businesses, corporations, corporate fraud, fraudulent business partners, fraud in the lives of ordinary people. Thus, according to statistics released by the State Statistics Service in 2016, 41,085 fraudulent actions were detected on the territory of Ukraine by law-enforcement agencies, of which only about 15% were solved, and in the first half of 2017, 25,583 fraudulent actions were already committed. Thus, there is a tendency for crime numbers to increase and, accordingly, the sums of the alleged damage in such crimes. In fact, about a hundred cases of fraud occur every single day in Ukraine, but only some of them will be uncovered. Fraud is inflicted on millions of victims, who are not always compensated for such losses. And most importantly, it is difficult to prove an intellectually committed fraud, because often it is masked as civil or economic-legal relations. It is not a problem to establish the fact of committing of fraud and, accordingly, to uncover a crime when a suspect has actually taken possession of the property of the victim by deceit or abuse of trust. In a superficial analysis of the situation, it is quite obvious that the suspected person did not intend to commit any actions for the benefit of the victim, and the main purpose was to seize property or money. But there is another category of fraud, so to speak, that of intellectual fraud. Such fraud is very carefully planned and in most cases it involves more than one person and accordingly, the distribution of the roles of those who participated in the crime. The process of preparation and realization of intent, aimed at committing such fraud, sometimes extends over months and, most importantly, such fraud is particularly harmful to the victim. Thus, according to the definition of “fraud”, as contained in Article 190 of the Criminal Code of Ukraine, fraud is the seizure of someone else’s property or the acquisition of the right to property by deceit or abuse of trust. UAH 528,000, and especially large fraud is defined as an amount of at least UAH 528,000. Qualifying signs of fraud or those that affect the severity of a punishment are: fraudulent, committed repeatedly, or by a prior conspiracy by a group of individuals, or that has caused significant harm to the victim. This type of fraud is punishable by a fine of 50 to 100 tax-free minimum incomes, or correctional labor for a term of one to two years, or restraint of liberty for a term up to five years, or imprisonment for a term up to three years. For fraud committed in large amounts, or through illegal operations using electronic computers, there is liability for imprisonment for a period of three to eight years. And according to Article 190 part 4 of the Criminal Code of Ukraine, for fraud committed in particularly large amounts or by an organized group, liability is envisaged for a period of three to twelve years with confiscation of property. Therefore, the allegedly rather severe measure of liability should deter potential criminals from committing a crime. Unfortunately, the number of fraud cases is increasing every day and the guilty parties are not always liable for proper legal liability. There are many factors to pre-empt fraudulent actions. In particular, the decline of the economy, which leads to the impoverishment of the population, the desire to get rich quick, the low legal culture of citizens and, perhaps, the most important thing, the absence of proper, speedy punishment for the perpetrators, which gives rise to the last permission to commit criminal acts. So, according to the provisions of Article 216 of the Criminal Procedure Code, crimes committed on the grounds of Article 190 of the Criminal Code of Ukraine (fraud) must be investigated by bodies of the National Police of Ukraine. Excessive work for the investigators of the National Police (the authorities of the National Police of Ukraine, in addition to investigating fraud related crimes, are imposed by national law with an obligation to investigate dozens of other crimes such as murder, robbery, bodily harm, etc. ), the technical basis of departments, the lack of adequate financial and social security for workers, the large change (turnover) of personnel (in the place of experienced specialists come inexperienced graduates of higher education institutions, etc.) leads to low effectiveness in the investigation and solving of crimes, including fraud. These factors affect not only the effectiveness of the investigation, but also the speed of investigation of criminal proceedings. The loss of time for a person who has been harmed by scammers today is a major problem in the process restoring the status quo. Having experience of dealing with this category of cases, we can say that in most cases, in the presence of an active position in the investigation of fraudulent crime, it is possible to restore the status in which the victim was before the crime committed against him/her at an early stage in the investigation. No criminal offender expects to be held accountable quickly. But if the crime was carefully prepared and the commission of this crime was planned qualitatively, then the participants in the crime are unlikely to count on their being discovered or, moreover, the use of responsibility. Thus, in our practice there have been cases where fraudulent actions running into millions of UAH were carefully masked and were carried out through a court decision, while the judges who considered the so-called “dispute” most likely did not realize until the end that the court’s decision is required by the crooks to give criminal acts the status of “legality”. However, in a detailed analysis of a case and the events that occurred, when comparing the dates, numbers and functions of officials involved in a fraudulent scheme aimed at taking possession of property, it becomes apparent that no legal dispute in a court existed. The decisions that led to acquisition of the victim’s funds were made by the same persons who, in spite of the procedural status of “opponents”, were actually accomplices. And most importantly, the main evidence in a case was obtained not by police officers, but by lawyers. Thus, the current Criminal Procedure Code allowed lawyers, as the victim’s representative, to gather evidence. Therefore, having this status, we have disclosed the bank accounts of companies belonging to crooks, got access to documents containing the secrets of notaries (of course, on the basis of the relevant court decision), initiated the conducting of interrogation, removal of other documents, which subsequently enabled the interests of clients to be represented in a qualitative manner. Indicative is the case when, after a criminal case has been initiated (submission of information to the Unified Register) under the article of fraud, we have initiated a procedure for interrogation of the company manager who received funds from the client (the victim) and had undertaken to deliver agricultural machinery to the customer. Of course, we had prepared carefully ahead of the interrogation: we had got all the necessary information about the company’s activities, the presence of already executed and not executed contracts, court decisions, etc. And during the interrogation, after demonstrating the undisputed facts of the client’s funds being taking possession of and the lack of opportunity to supply agricultural machinery, the head of the company, who was interrogated, offered to conclude a global agreement and return the money. The result was achieved virtually immediately after the start of the case without significant effort. Therefore, the speed of decision-making and actions directly favor the final result in the investigation of fraud crimes. In another case involving fraud we uncovered accounts which, according to the contract, funds were paid for the supply of custom equipment on an orderly basis. And how miraculously it was to learn that all these hundreds of thousands of Hryvnias, after being paid into the account of the counterparty-debtor, were converted into cash with the appointment of payment for “representative expenses”. Yes, it was representative costs, and not for the purchase of material or services for the manufacture of such equipment. A common element of fraud is also a fake document that establishes some legal facts and is the basis for acquiring property or using property. The majority of such actions using a counterfeit document are accompanied by custody of the person who provides such a document for registration. For example, ownership rights to property and an employee who uses such document to change the identity of the owner. Counterfeit court decisions, contracts, payment orders for money transfer in the hands of fraudsters are an instrument aimed at taking possession of property or funds. But with a reasonable and balanced approach, and hiring an experienced lawyer, a victim of fraudulent activities can unravel the tangle of crime and, at the risk of real criminal responsibility, force criminals to pay compensation for damage caused.